We will visit the property to ascertain its true value, provide advice on potential rental income and use our local knowledge to appraise current market conditions. We will craft engaging advertisements that will position your property in front of millions of potential tenants on the UK’s leading property portals, as well as via leading social media channels to further benefit exposure. And to ensure your properties potential is maximised we will have professional photographs taken. We will manage enquiries, schedule viewings and attend the viewings on your behalf. We will work out of office hours, so are available to manage and attend viewings up to 7 pm, as well as at weekends. We will keep you up to date regarding viewings and provide all relevant information on the prospective applicants. We will also offer advice and guidance in deciding which tenant to accept. We are committed to putting in place the necessary checks to safeguard your investment. We provide a full referencing service which requires bank statements, pay slips, guarantor check (if need be) and employer references. We will also perform full credit checks and provide legally binding contracts. We understand the importance of correctly managing your property, so your investment isn’t jeopardised, but is maximised. As well as providing a fully managed or let only service, we are on hand to offer our experience and advice in managing all aspects of the entire tenancy, from start to finish. Benefits include the creation of professional inventories and access to a bond dispute service. Fully Managed or Let Only? 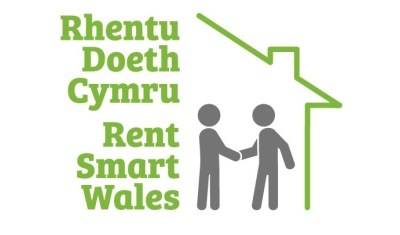 To learn how BCL are regulated and all reputable agents (as well as landlords) are required to adhere to good practice and the law, please click on the Rent Smart Wales logo to find out more. To learn more regarding our competitive fees.